Did your ancestors emigrate to New Zealand or Australia? some of the reasons why they left? in Scotland, Ireland, England and Wales. Read 'My Story' for a flavour of my ancestral journeys in Scotland, Orkney and Northern Ireland. During my years researching our ancestors and how they lived in the UK and Ireland, I have come across interesting sources and websites for more information in both the new world, their destination, and the world they left behind. New Zealand, Australia, the US and Canada were ‘new worlds’ for these brave early settlers. 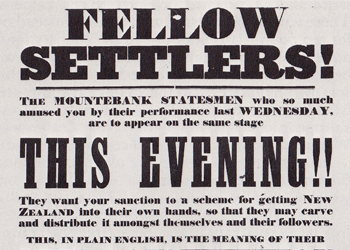 Find out about Emigration from the UK and Ireland during the 1800's and 1900's. Learn more about the Migrant Ships and incredible Sea journeys to the new world. I was always fascinated 'Why' my ancestors settled in NZ. I uncovered the 'Law' family surname mystery before they emigrated in 1922 and retraced their 'Ancestral Journey' from Ayrshire in West Scotland to the Kingdom of Fife on the East coast. I also discovered further Law ancestors in Northern Ireland. Another story explores Ancestral Roots in the Orkney Isles and the legend of Robert Harcus (GG GF) who emigrated to NZ on a sailing ship in 1874. His youngest son, James, fought at Gallipoli in WW1.